Elizabeth Ann (Dilts) Sprinkle, 94, of Logansport, went home to be with her Lord on Saturday, April 6, 2019 at Miller’s Merry Manor in Logansport. Elizabeth was born on March 5, 1925 in Goshen, Indiana to the late Paul George and Tessie (Albert) Bryer. On February 16, 1946 in Greentown, Indiana she married William S. Dilts who preceded in death on January 29, 1970. On July 20, 1974 in Walton, Indiana, she married Ernest F. Sprinkle who preceded in death on April 2, 1999. Elizabeth was homemaker. She had also worked as a cook for the Pioneer School Corporation and at R.B.M.. She was a former member of the Loree Brethren Church and current member of Cross Wind United Methodist Church. Surviving are two daughters, Pennie A. Harris of Royal Center, IN, Edith A. (Dave) King of Washington, IL; two sons, Paul A. 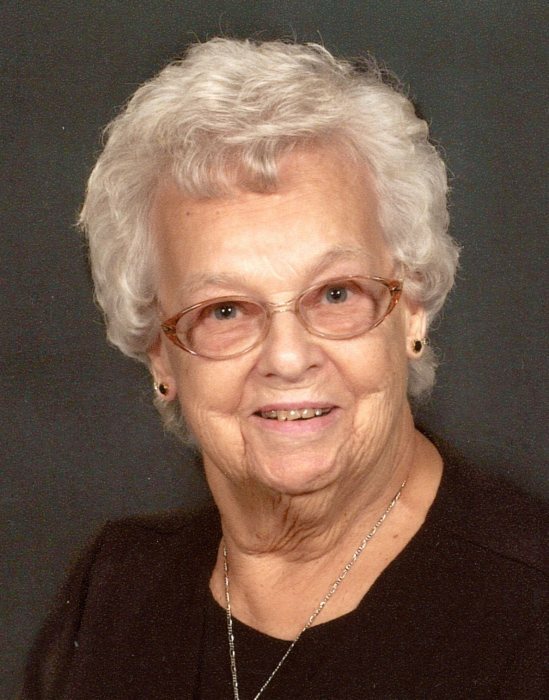 (Linda) Dilts of Plymouth, IN, Edward A. (Jean) Dilts of Franklin, IN; six granddaughters, Angela Peterson, Yvette (Brian) La Croix, Andrea S. Dilts, Heather (Fiancee Paul Price) Davis, Traci (Lee) Goudy, Dawn (Tom) Schultz; five grandsons, Micky A. (Amy) Kauffman, DeVon (Marcy) Scott Jr., Raymond (Betsy) Scott, Kenny Scott, Steve (Heather) Johnson; several great grandchildren; several great great grandchildren; sister in law, Josephine Frushour; several nieces and nephews from the Dilts and Sprinkle side of the family. Preceded in death by her brother, George Bryer, sister in law, Nina Bryer; several in laws, Margaret (Burl) DePoy; Bill Frushour; Lester (Helen) Sprinkle; Elbert (Dorothy) Sprinkle; Eloise (Paul) Le Master; and one grandson, Bob Johnson. A celebration of life will be held at 10:30 AM on Wednesday, April 10, 2019 at Gundrum Funeral Home & Crematory with Pastor Nick Robinson officiating. Burial will follow in the Star City West Cemetery, Star City, Indiana. Visitation will be held from 4:00 – 7:00 PM on Tuesday, April 9, 2019 also at Gundrum Funeral Home. In lieu of flowers, memorials may be made to Cross Wind United Methodist Church or Pleasant Escape Senior Catered Living, in Logansport.